This Catalan sauce has a wonderfully complex flavour and conveniently keeps for at least a week in the fridge. It is traditionally served with Calcots, but works beautifully with simply-cooked fish, roast chicken, and even over warm new potatoes. 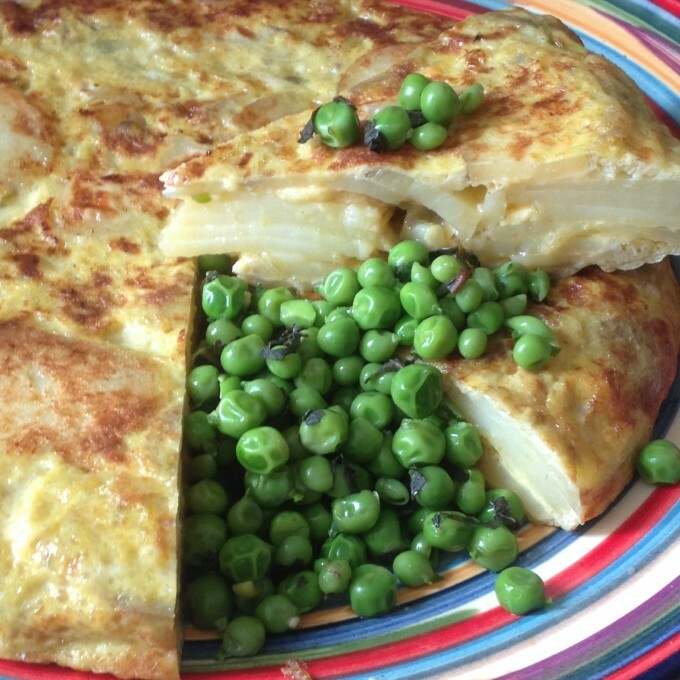 In this instance I suggest serving it with a simple Tortilla Espanola. I prefer to ditch the food processor and use a large pestle and mortar, but this is not essential, it just gives a more authentic and satisfactory texture to the sauce. Nora peppers are relatively easy to source these days; I usually buy mine from Sainsbury’s, Waitrose, or Brindisa, but they are also available on-line. Remove the seeds and the stem from the pre-soaked Nora pepper, then finely chop the flesh. Heat a medium frying pan. Add 3tbsp of olive oil. Add the breadcrumbs and gently fry until golden brown. Transfer the breadcrumbs into the food processor. Add 3tbsp of olive oil, the ground nuts, and garlic to the pan and fry until they turn golden brown. Add the paprika, the tomato, and a pinch of salt. Cook for a few minutes until any excess water from the tomato has evaporated. Stir in the Nora pepper and the Piquillo peppers. Add the vinegar. Fry for a minute, and then empty the contents of the pan into the food processor. Pulse until the mixture is combined but still has some texture. Season to taste and refrigerate until needed.